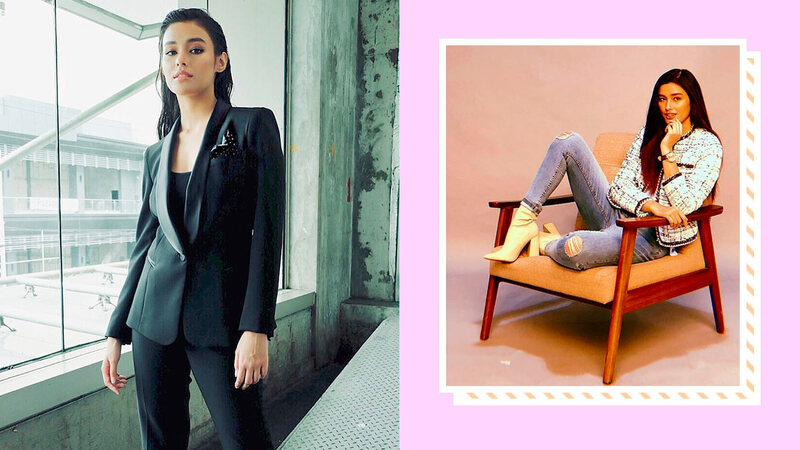 It’s a fact that Liza Soberano looks fab AF in anything, but what we’re crazy about atm are her killer power dressing-appropriate looks. The style is fashion girl meets modern corporate woman and it’s just the inspo we need to get through every work week! Your no-fail, last resort outfit. No need to overthink color combinations because all- black always works. There’s something about a tweed jacket that gives off an instant chic, luxurious feel to your outfit, no matter how casual your top and jeans are. It’s a piece definitely worth investing in! Take your boring pencil skirt for a spin and pair it with a cut-out top or anything that's just as fancy. Pointy toe pumps add instant height, confidence, and *power* to your look. Tbh, sometimes, a sparkly statement piece is really all you need to make heads turn in your direction. Booties are a godsend. You can walk in them confidently (as opposed to teetering stilettos!) and the impact it makes on your OOTD is bomb. Find one that fits you like a dream, or better yet, have a suit tailor-made for you. You can wear the pieces separately, too!